Way back behind an orange grove up against a hill hides this old barn. If he was a person he would prefer to remain anonymous. I found him and painted him as he was early one summer morning. This original oil painting is the second in an ongoing series and painted in a loose atmospheric style. 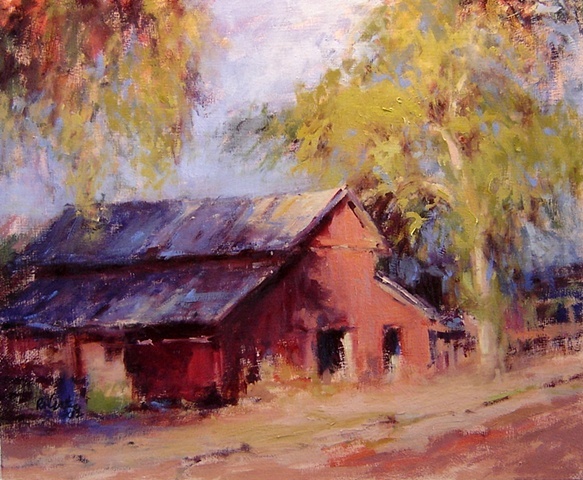 Faded reds, blues, yellows and greens enliven this country scene.